Available everywhere Feb 26, 2019! Also she’s a lesbian. So there’s that. Carson’s dad is still bitter about the disappearance of his dad more than thirty years earlier. When Carson and Aisha discover a box of recent cards from his grandfather, they realize the old man is still out there somewhere. What are two bored teenagers in the middle of nowhere to do? So Carson and Aisha being a journey with no destination, to find a man who wanted to be lost, in an unreliable Dodge Neon, with one very prickly mascot. And what comes next is an extraordinary, enlightening, hilarious, inspiring, complete and utter mindblower of a road trip that will transform both their lives. “Quirky, hilarious, sad, and ultimately tender. The world could use more tenderness and more books like this one. Words like ‘Brilliant’ are so overused when praising novels–so I won’t use that word. I’ll just think it.” – Benjamin Alire Saenz, award-winning author of ARISTOTLE AND DANTE DISCOVER THE SECRETS OF THE UNIVERSE. “Bill Konigsberg’s THE PORCUPINE OF TRUTH is at once heartwarming and heartbreaking, a funny and thought-provoking road trip with remarkable friends Carson and Aisha, who share tough lessons about mending fractures, forging bonds, and discovering grace. Undeniably human and unforgettably wise, this book is a gift for us all.” — Andrew Smith, award-winning author of GRASSHOPPER JUNGLE and 100 SIDEWAYS MILES. Rave review in The New York Times! The companion to the award-winning Openly Straight, called “remarkable…deeply satisfying and as honest as its appealing protagonist” (Booklist). Perfect for fans of David Levithan, Andrew Smith, and John Green!Ben Carver is back to normal. He’s working steadily in his classes at the Natick School. He just got elected captain of the baseball team. He’s even won a full scholarship to college, if he can keep up his grades. All that foolishness with Rafe Goldberg the past semester is in the past.Except…There’s Hannah, the gorgeous girl from the neighboring school, who attracts him and distracts him. There’s his mother, whose quiet unhappiness Ben is noticing for the first time. School is harder, the pressure higher, the scholarship almost slipping away. And there’s Rafe, funny, kind, dating someone else . . . and maybe the real normal that Ben needs. Special paperback re-release out now — featuring a foreword by LGBT ally and former NFL player Chris Kluwe, as well as two new chapters! What if the star of the high school football team was gay? In the Lambda Literary Award-winning OUT OF THE POCKET, 17-year-old Bobby Framingham is struggling with a secret. One of the most talented players in his state, Bobby knows he is different from his teammates. But he so much doesn’t want to be. Can he be one of the boys while still being who he is? And how will the girl who thinks she’s dating him take to the news? I just have to say I finish reading Openly Straight and I loved it. It’s a great new way of putting the gay character in the role of a straight character. I love it how you referenced to Alex Sanchez’s books. I have to admit I have never heard of the author before but I gave it a chance and I wasn’t disappointed. Thank you; I usually don’t like some of the gay novels but you are one of the few exceptions with Alex Sanchez and David Levithan ( I hope I spelled his last name right; if not, forgive me. please make a second book continuing Ben and Rafe’s relationship. No lie, I can feel my life force leaving my body as we speak. Me too!! I would die as well! I really want a book two!! The book was so devastating at the end and makes me want to read more and more! I loved it! This second book needs to happen. Immediately.. So i just finished Openly Straight yesterday. I finished it in a day, and it takes an amazing book for me to do that. As a leader of the Holt GSA this is a book I know will speak to many of my members and i wanted you to know how amazing I think it is that you write the books you do, because I feel not many authors are comfortable writing a book feature a gay teen as the main character. I just finished this book and I loved it!! There has to be a second! I need to know if what becomes of Ben and Rafe. Maybe it could be in Ben’s Pov…? Everybody seems to want more Ben and Rafe! We’ll just have to keep our fingers crossed, won’t we? I first heard of your book ‘Openly Straight’ mentioned by Cheryl Klein on a podcast she contributes to called ‘The Narrative Breakdown’. Within 20seconds of her talking about it I was hooked. I had to read it. When I finally did manage to pick up a copy recently, it took me all of a day to read it cover-to-cover. I couldn’t stop, and when I finished…I was heart-broken. Sad that it was over. I was, and am, more sad that there was no definitive conclusion to Rafe and Ben’s relationship. So, I guess the point of this comment is to “subconsciously” persuade you to continue the story in some form or another because it is killing me on the inside and I’m confused as to why. Confused about a lot of things we’ll just say. Yours is the first book I’ve read regarding its topic and there is so much being said that needs to be said to be heard by everyone. I’ve never felt this way towards a book before. Maybe because it hits so close to home in various ways…I’m not sure. I am sure that there needs to be a hell of a lot more young people reading it, understanding it. And while you work on a sequel to this journey that has tortured me so, I believe ‘Openly Straight’ should be worked into a film of its own some how. Seriously… As an aspiring screenwriter and ardent film geek, I can’t help but be transfixed with the idea of your amazing book becoming a film of its own. Anyway, thank you for ‘Openly Straight’. I hope I didn’t go too overboard with this comment/essay/letter? Not at all! I loved reading it! The most surprising thing about the response to Openly Straight is just how many people feel like they NEED to know what happens next. When you’re writing a book, you don’t always know how people will react, or I suppose I should say you never know. I truly in my heart felt like this was a happy ending, because I was so focused on Rafe’s growth, and as many people have pointed out, there really is no way to conclude the relationship differently based on what’s just gone down. I figured, “Well, it’s open ended. People will have hope for the future.” But that has NOT been the reaction for so many readers. All I can tell you is that in one form or another, you will get your answer. The option to the novel is currently held by a production company, so it’s possible that the answer will come in TV/film form. If not, I will either write a sequel that is published traditionally, or untraditionally. Do not despair; at some point, there will be more Rafe and Ben! You’re absolutely right. Thinking back on it now, I don’t believe I would have been satisfied with a, “and they lived happily ever after” ending. So while I still have this burning desire to find out if Rafe and Ben will truly reconcile, I can’t help but be happy with Rafe’s growth as you mentioned. I feel like this ‘need’ to know what comes next is simply us saying we never wanted it to end in the first place. Being exposed to Rafe’s world was profound and honest on so many levels. I myself have never experienced anything like it and it was/is heartbreaking in many ways. Perhaps I just need some recovery time. I am very excited to hear that the option is being held by a production company! Thinking back to my Producing Classes I realized I’ve forgotten how harrowing the process of getting a book to screen can be…and I barely know the half of it. I guess I will have to be patient, as hard as that will be, and hope for the best. I’m very excited for the future of ‘Openly Straight’ and yourself, and I wish you nothing but the best. Looks like I will need to pick up a copy of ‘Out of the Pocket’ to fill my void of Rafe and Ben. Openly Straight is the most realistic book I have ever read about being youtself. I loved it and I highly recommend everyone to read it. Wow-I am speechless! I have to say I enjoyed Out of the Pocket, but Openly Straight was amazing! I had to rush home from work every night to see what was going to happen next. I loved the diary portion, along with teacher feedback! The character’s were believable. I related to Rafe and Ben on so many different levels. I’ve lived Rafe’s “being one of the guys”. I still do but openly. I was a jock in my younger days, but closeted. Today though, my straight friends are tickled when I win the Fantasy Football league or the March Madness pool! Thank you for giving us good fiction to read. I haven’t found an overwhelming amount so I look for more of your work in the future! OK, I like many others want a sequel-it’s not a bad thing. You just had us caring so much about these characters! Will you publish anything in 2014? 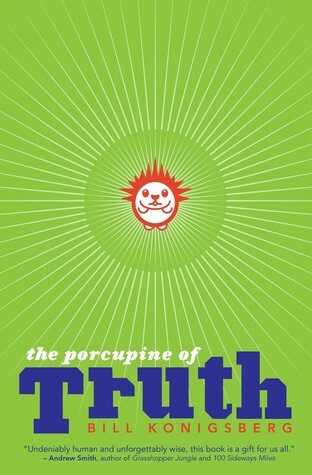 The Porcupine of Truth will be published in the summer of 2015. Seen it. Bought it. Soon to read it… When do you suppose we’ll catch a glimpse of more Ben and Rafe? My heart is yearning. I know, I know… everybody wants more Ben and Rafe! It’s coming, I promise. I’m working on it as we speak. The publishing process takes a long time, unfortunately, so expect to see it in the second half of 2016. I wish it was sooner! Wow! I’ve read both of your books in the past few weeks and they were both amazing! I loved Openly Straight! The part of the book that really struck me was when Rafe was at the school talking to the students about being gay, and the boy raises his hand and has a question about what his friend should do about coming out because his parents were so homophobic. It was just such an amazing book, not just a cute little love story, but a very realistic story about how you shouldn’t keep yourself hidden. Thank you! Your book has been a great influence to it’s readers in a myriad of ways. Personally, I believe that it has an appeal to people, in general. It broke the barrier and the misconception that gay novels should only be for the LGBT community. I am very glad that you did what you did and let me tell you that it was “impeccable!” As I read the book, I realized that I was no longer reading a story but I was actually taking a peek out of life. Though I know that you might already be tired of people asking for a sequel, I am pleading you write a sequel. Fingers crossed, I am hoping that you will continue to inspire us the way you do. PS. I know that it is an open-ended novel but it is an agonizing wait for the sequel. I hope it comes soon! Thank you! As for a sequel, all I can say is “stay tuned.” It’s not out of the question at this point! Oh please, we need to know what happens next. Why is there no closure to Ben and Rafe’s relationship? Okay, so after reading ALL of the comments. .. I feel a little better on what’s to come. This book was amazing. I am on the NEED to know what happens next. I believe this is the most amazing story since the rainbow series by Alex Sanchez. It’s refreshing to find a story that’s so real. Most I find are showing only the promiscuity of gay life, and not the coming of age feelings we all go through. I got this book for my birthday, have to say it’s my favorite gift I received. Please let us know when there’s more to come. LOL I hear you. I know how much people want more from Ben and Rafe. I promise you it will come. I’ll post news when it’s available, probably later this summer! I have just finished reading “Openly Straight” (in the German translation “Offen Hetero”). It has touched me deeply. Not just because of the story of Rafe and Ben, but because this is not just “Another Gay Story” not just a story but also a very emotional, realistic and touching description of the person Rafe. Through the reading as well as now after finishing all my thoughts are at Natick, at Rafes way to act to his friends and at Mr Scarboroughs way to confront Rafe with his previous life to get him to his second coming out. It has so many parallels to my life. I am not worried about the future of Rafe, but someone has to help Ben coming out. I feel very sad for him and for the broken friendship between Rafe and Ben. The story is not over for me… I need more. I need an end. You have with “Openly Straight” inspired me to write about my own life the way Mr Scarborough want it. Hi I would really l to know where I can find the audio book for Openly Straight so I can play it on my phone when I don’t end up having the book in my possession If anyone could tell where I could find one online that would be great. Thanks. Alas… no audio book for Openly Straight. I admit I’m surprised it wasn’t made, but maybe it still will be one day. Just not yet. I think that this book, less than three hours after I finished it, impacted my life. I was planning on doing exactly what Rafe did, except when I went away to college. I ran across this book online, and read what it was about, and realized I had to read it. So I did. First of all, I’m in love with Ben. Second, and more importantly, this book stopped me from doing something I never could have pulled off with my head intact. Thank you for this book. I finished it in one afternoon. Please write a sequel. Thanks so much… I’m really glad that this book stopped you from making a mistake. Yes, a sequel is in process! When will the sequel be ready? That’s one I can’t answer yet… first I have to write it, and then it has to be published. We don’t have any news to share yet, but as soon as I do, you can count on me sharing it here! Subscribe to my blog and you’ll be among the first to know! Loved Openly Straight. I shed a few tears but really enjoyed the story and characters. Thanks for that and I look forward to your other books. Openly Straight is one of the best books I have ever read. I was so interested and finished the book in a day. I fell in love with the characters and grew attached. I hope there will be a second novel soon. I need to know what happens. I have so many questions that must be answered. LOVE THE BOOK. Have no fear, Zac! In one form or another, answers are coming. Keep an eye on this website for news on this soon! This is one of the first novels I have ever read with a gay main character that I can identify with, and reading it has helped me grow as a person and as a Gay Teen. I would also like to thank you on behalf of the entire world and I think I speak for them too when I say that this book is a jewel sparkling in a big pile of rubbish and it has changed my life so much . Thank you, thank you, thank you, Aaron! I’m glad you identified with Rafe. Keep your eye on this blog for news and information about a possible sequel as it becomes available. I hope you would read this. I emailed you this. I have to say. Your book “openly straight” is the best book I’ve ever written. It taught me to never hide away and always lean forward. I am bisexual but secret too. I’m just now starting to come out because of this amazing book you written. I wanted to ask you an important question. Will there be a book two? I would really love to read it and it would be the book I would spend money on. I really enjoyed your book and finished reading it in three days. That’s the best book I’ve read in forever. I will always love your books and expect more to come soon. The books about gays and sexuality is really interesting. I can’t say how much I love your book. I love the plot line and it’s the first book to make me want to read everything in it. It really made my emotions pour out. I cried when Rafe and Ben got into an argument and I gasped when I found out about Toby and Robinson! It’s the best book ever! Please keep writing. Thank you so much! I am so glad this book has had such an impact on you. If it’s helping you be more authentically you, I consider that a great thing! Keep an eye on this site over the course of the next month or two for news about a possible sequel. I will share the news as soon as I can! I want to thank you again! It’s a really great book! I will always keep my eye out for a possible sequal. Thanks. When will there be a sequel! I am really wanting to pick up more of the story. I have now read the book 4 times. I do appreciate that you interact with the readers as well. We are all excited and waiting. Yesterday I finished reading the German Translation of “Openly straight” – the German title is “Offen hetero” which has – of course – the same meaning as the English title. What a great novel! I really enjoyed reading this! Good combination of interesting characters and several really heartfelt insights. The sort of books I like most have all these ingredients and this one really belongs to them now! Best wishes from Cologne, Germany! Die besten Wuensche aus Koeln, Deutschland! You know what i hate? Is people judging a book by whatever it is on the outside. They don’t even want to hear me out while i state that this is not “JUST ANOTHER GAY BOOK”. All they hear is “GAY GAY GAY” and their out. It frustrates me. Obviously. But who needs them, when there’s a whole community loving this book like myself. This made me think about myself, and be aware of my choices. Reflect on things that would have never come in mind, if not for this book. Contemplate on society and the image of “ME”. Think of “WHAT IF’S” and “PERCHANCE’S”. So yeah, it is a gay book. But that doesn’t mean it’s JUST a gay book. There’s more to it than what meets the eye. I just wish more people can see it, especially people that surrounds me. You shouldn’t do harsh things to a teenage boy’s heart, like abruptly ending Ben and Rafe’s relationship as if its an object that can be put into hiatus. Please help me get back up. Also. Why do you have to make Ben so freaking beautiful inside-out? 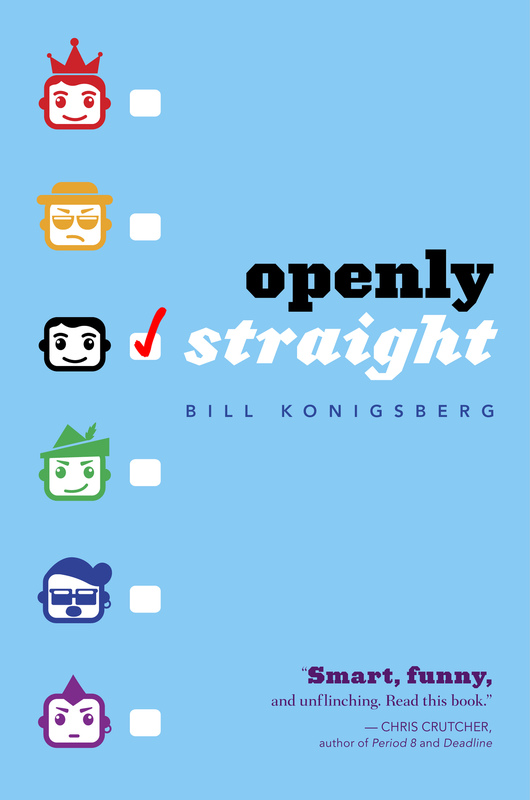 What i really loved about Openly Straight is that, it has a voice. A message that had changed my perception of how things are supposed to be. I am enlightened by this. Opened up to new possibilities. Thank you for you had made me feel that I am not the only one who hates labels as well. Before reading this book, I hadn’t expected it to help me in such ways. Now that i’ve read it, a lot of things makes sense to me. Albeit i still have questions — that’s what the 2nd book is for — i have been changed by this. And i thank you for that. I really loved how you differentiate Acceptance from Tolerance. You are most welcome! Thanks for your comment! Been reading the synopsis and book reviews of your novels, and I found them interesting to read. I might go to a book store right now or tomorrow or next next day, as long as I’m free, to find and buy your books. Hi I just finished Openly Straight like just now and I effin love it well I can relate to Rafe, Im gay: Im not in the closet but I dont realyy waved me being gay in peoples faces anyway I would really love a sequel of Openly Straight pls…. Hey, I know I’m kinda late to this party but Openly Straight is probably the best gay-themed book I’ve ever read. It’s absolutely heartbreaking, breathtaking and painstakingly beautiful. I literally could not keep my mind off it for the last week, so I figured I’d turn to the internet and hopefully get some more ideas from other readers. Since it’s almost 2017, I just wanted to check and see if you’re still planning to write a book 2 for this??? I would ABSOLUTELY die (in a good way) if I get any indication of a sequel. I really love all the characters and personalities that you put into Openly Straight, and I can’t wait to read the next! I’m a high school senior and my senior paper is a research paper. It’s about a banned book of our choice. I chose your book Openly Straight, and I was wondering if I would be able to ask you a few questions regarding your book and your feelings about the fact that your book was banned?? Sorry that I didn’t have a chance to respond to this until now. I apologize. My email is my first initial, last name at the gmail. Send questions there. Thanks! PS Sorry that for whatever reason the other comments/queries had to be deleted – no offence was intended. I didn’t get any other comments or queries that I know of! As for your question, no, the short story won’t be included with Honestly Ben. You’ll need to download it separately. I must say I just finished honestly Ben and I am very happy where the story went. Can’t thank you enough for the sequel. There are still questions left unanswered, but I am happy with the follow up and from a new characters point of view. Keep the story coming I’d read another! Does Ben get the award? Do they finish school at natick and what happens when they separate for college? You have gotten us all pretty attached to these characters. Great writing! This is a comment in response to your rationale for portraying a straight protagonist in The Porcupine of Truth – your statement that you are “more than gay”. First – does it remind you at all of the protagonist in Openly Straight? Just saying…. how interesting that you choose to remove the label from yourself which, from all I can see from your blogs, certainly defines you or defines a major part of you. So this is a very late response to your posting – but – hey – what the .. – why not. I for one am disappointed not by the quality of The Porcupine of Truth, (which is extraordinary and up to all of your previous works) but by this choice of a straight protagonist -so let me say why (since you so eloquently said why in the opposite direction in your posting). I am a gay man who grew up decades ago when it was even tougher and it isn’t a picnic now. Gay teens (male gay teens I can speak of and about and to – I am not a lesbian or trans or anything else so I can only speak to what I know) gay male teens have it tough enough, and it is hard enough to find good role models, fictions which doesn’t marginalize us (and yes – Modern Family and Will and Grace and Glee all marginalize us by portraying stereotypical gay male characters).